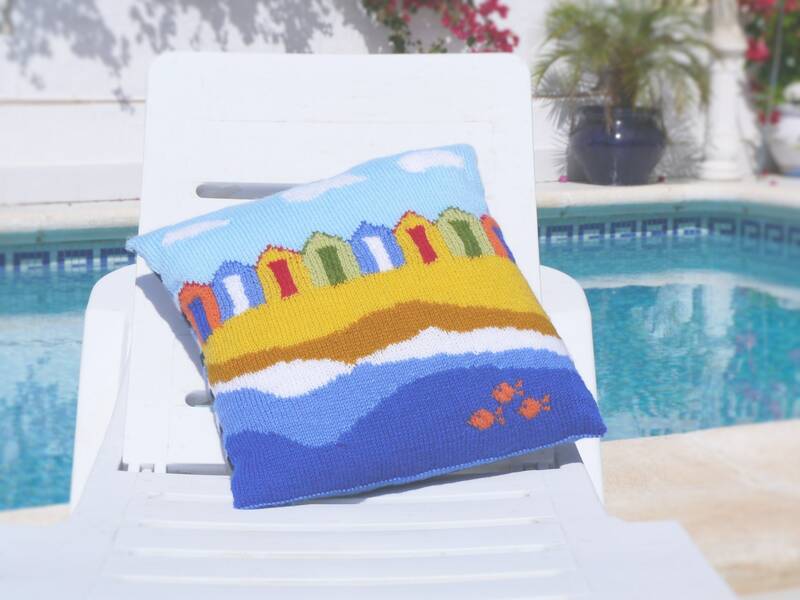 A knitting pattern to remind us of Summer days ! 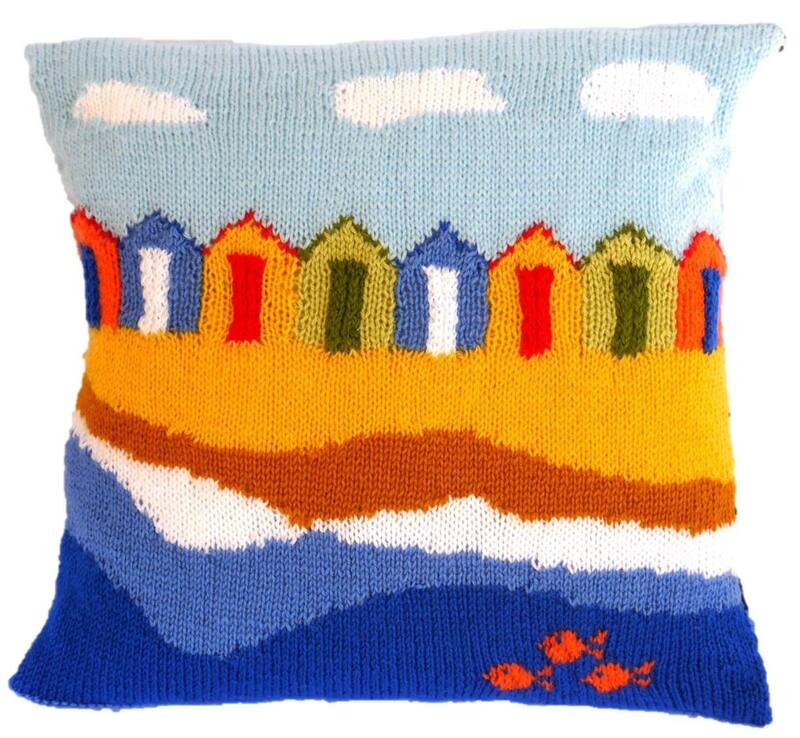 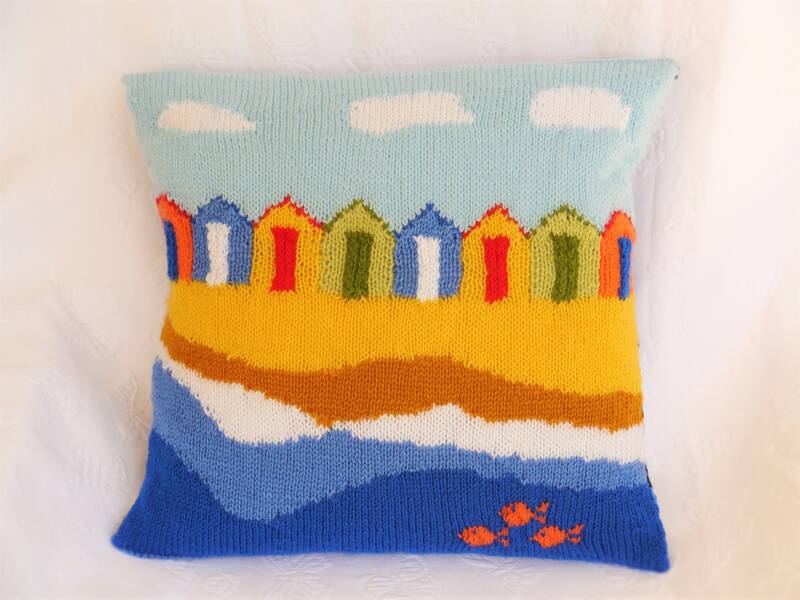 A lovely Beach Huts Cushion. 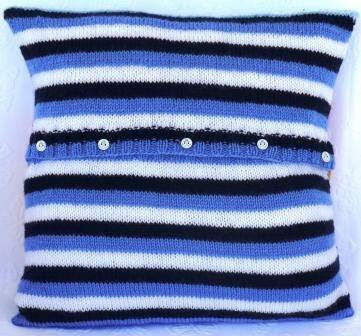 The cushion is knitted in one piece starting off from half way at the back with stripes, then knitting from the Intarsia Chart, finishing the other half of the back with stripes and buttonholes. 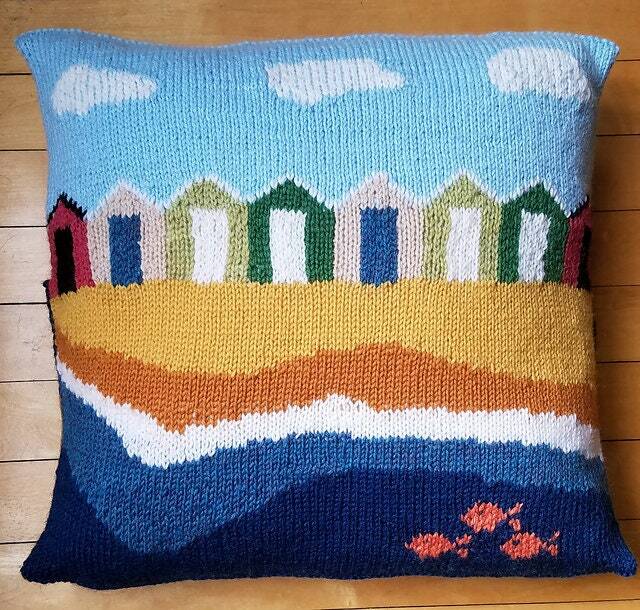 I've nearly finished this cushion and I'm really please with it. 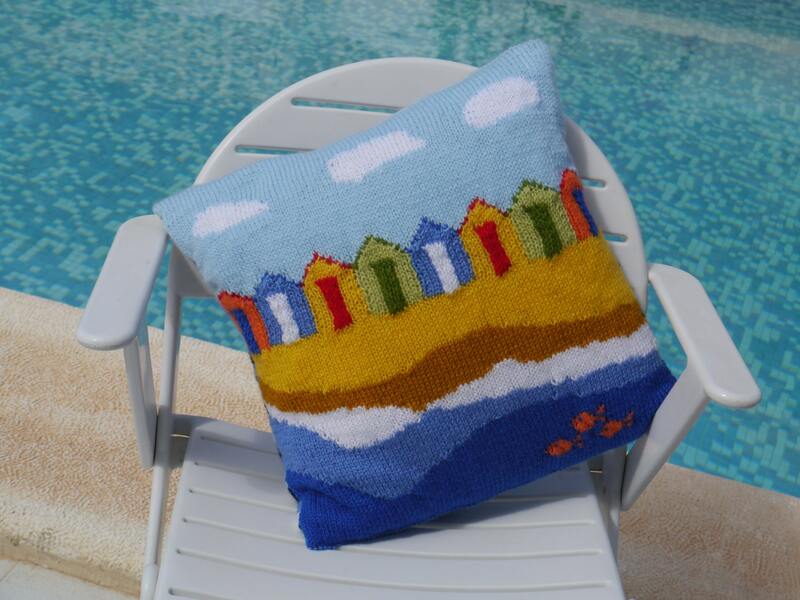 The pattern was really easy to follow thank you.